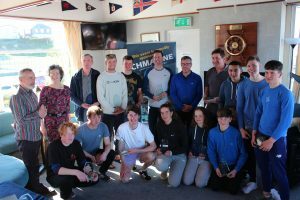 Nineteen of our laser sailors made their way northwards last weekend to compete at the CH Marine Ulster Championships hosted by Ballyholme Yacht Club. It was the last qualifying event for Irish Masters to get points on the ranking ladder before the Master Worlds this September. This significantly increased the number of competitors at the event with a great turnout of ninety seven racing over the weekend. Our sailors ranged from those competing in their first laser event right up to the Masters category. Well done to all our sailors. Read the full report here and results can be found here.